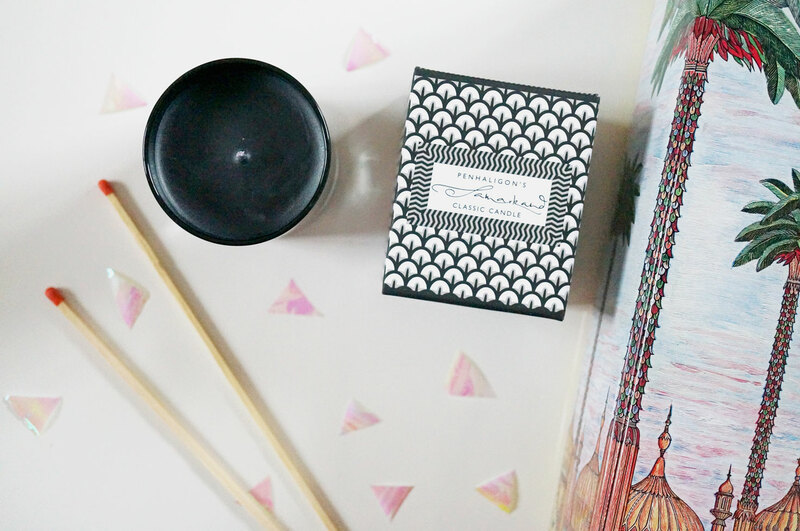 You know I love a good candle, and I’m a big fan of more niche scents and brands too, so today I’m really excited to let you know all about the newest addition to my collection – the Penhaligon’s Samarkand Classic Candle. Penhaligon’s have been on my radar for a while but I hadn’t had the pleasure of trying out any of their products until now. I started reading on their site to learn a bit more about the company and the first thing that I read really struck me – We strive to create original scents for the discerning eccentrics of today. I was going to throw in a few more quotes about Penhaligon’s, but if you’re interested, have a read here to learn more about the history behind the company, I’d definitely recommend it. Anyway, onto the candle! The Samarkand candle is in fact the official scent of London Fashion Week for Spring / Summer 2015 which is rather exciting. The scent is described as an exotic oriental awash with sweet flowers, spices and wood, and it was inspired by the ancient city of Samarkand, one of the oldest cities in the world. The Samarkand fragrance combines clove, jasmine and lily on a warm base of sandalwood & vanilla, and it really is a beautiful scent. It’s also worth mentioning that Penhaligon’s luxurious hand blended candles are packed with essential oils, made with a naturally derived soy wax and also feature a cotton braided wick for a clean & smoke free burn. 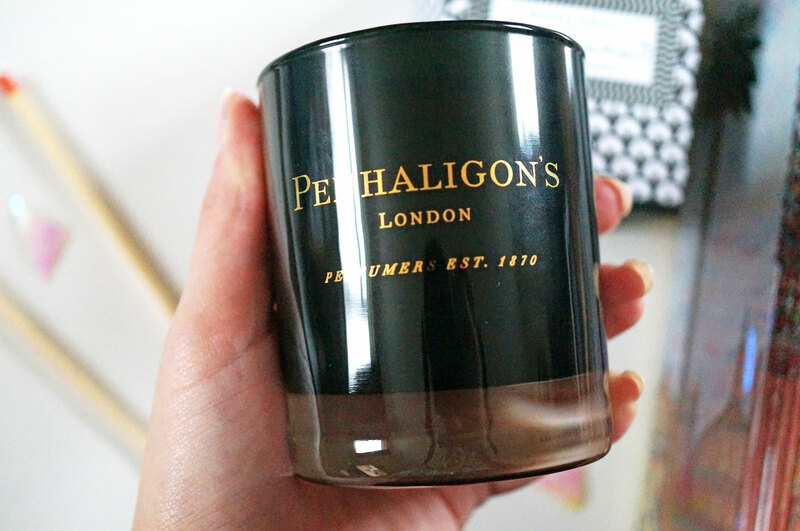 I’m thrilled with the Samarkand candle, and now I can’t wait to try out some more Penhaligon’s products, I’ve got my eye on a few of their fragrances and bath oils next! The Samarkand Classic Candle is £32.00, and the Brighton Collection Matches which are also pictured are £30.00.